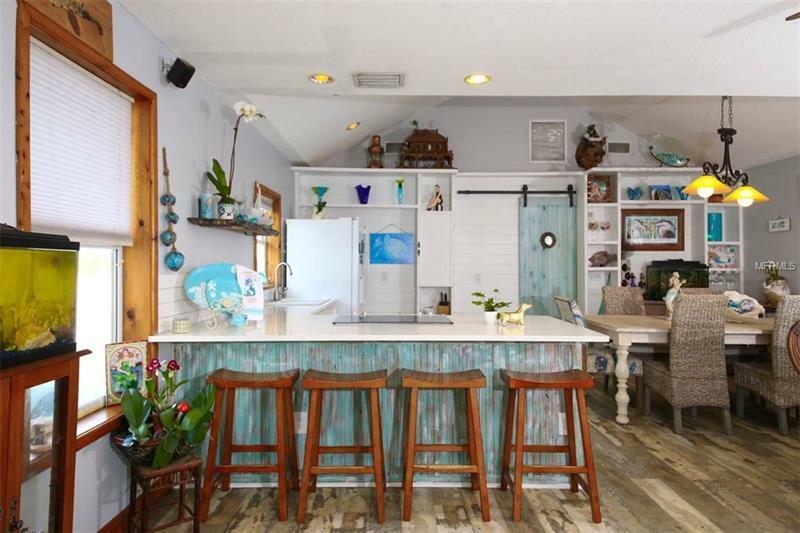 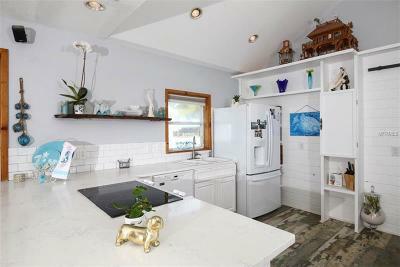 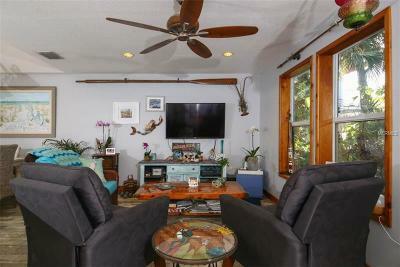 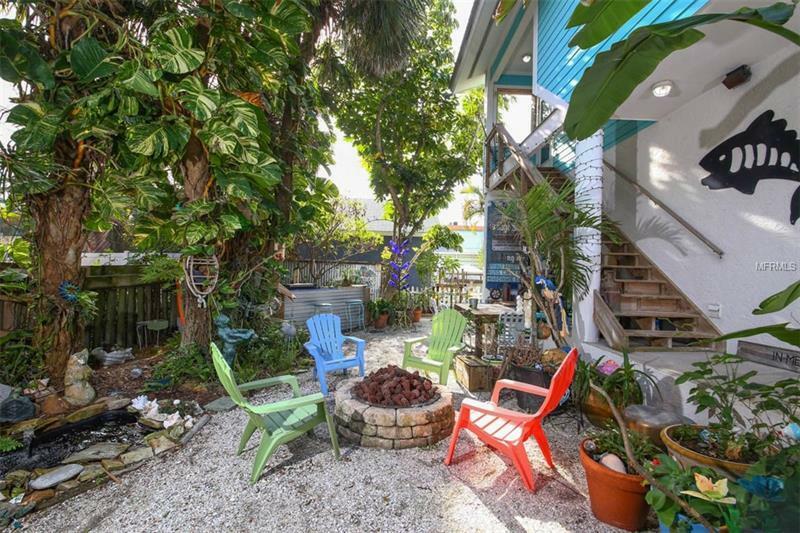 You must see this one of a kind beach house to truly appreciate it! 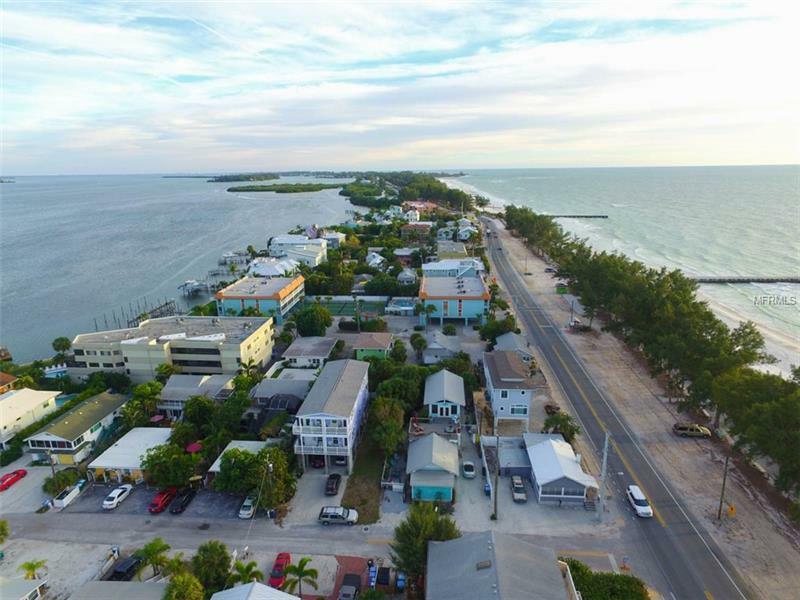 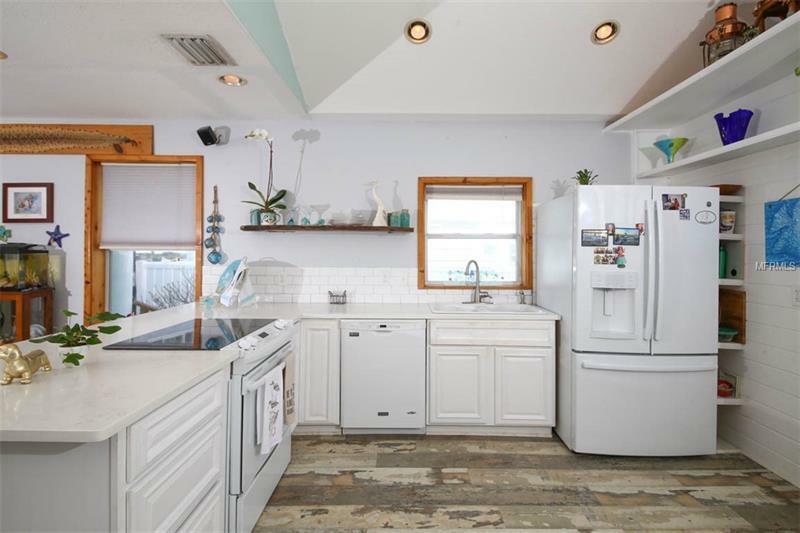 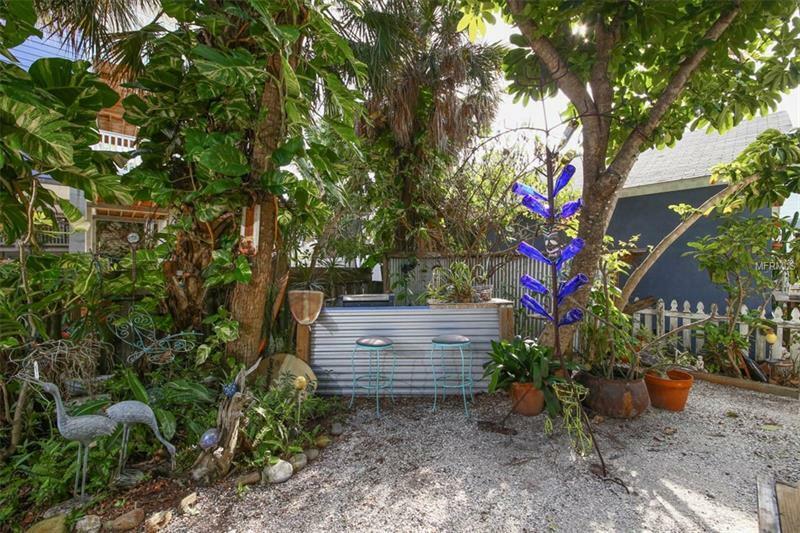 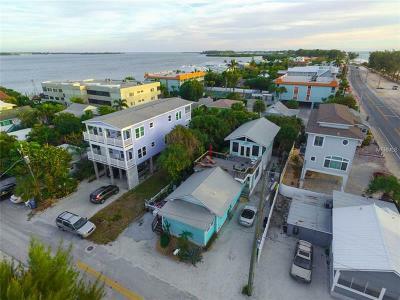 Completely renovated in 2006, including all the plumbing, electrical, and the roof, it is a great place in an amazing location. 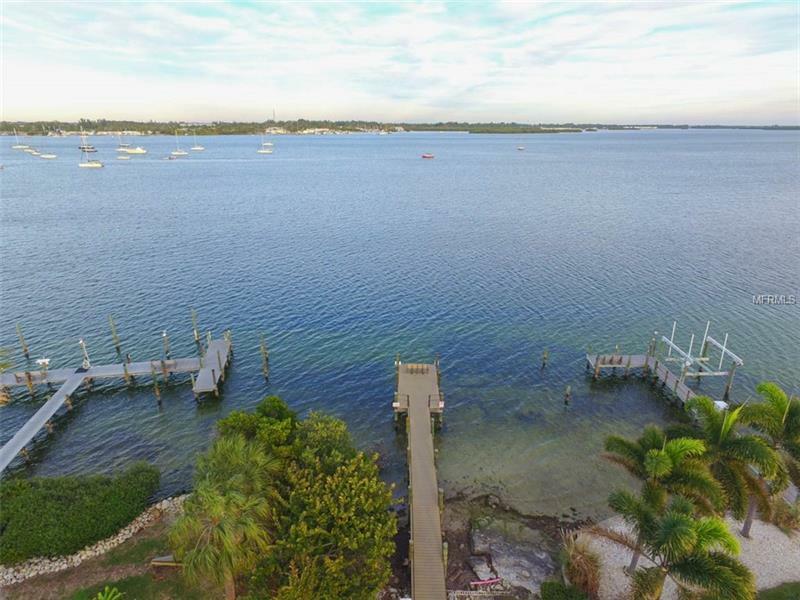 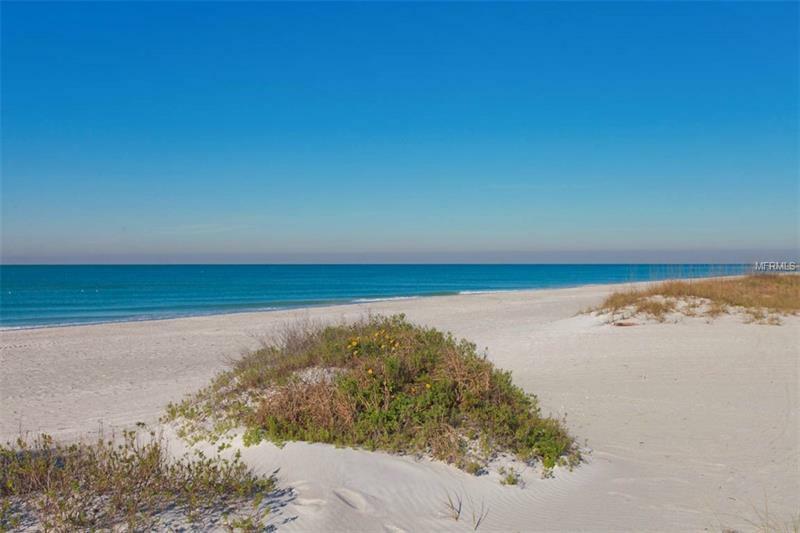 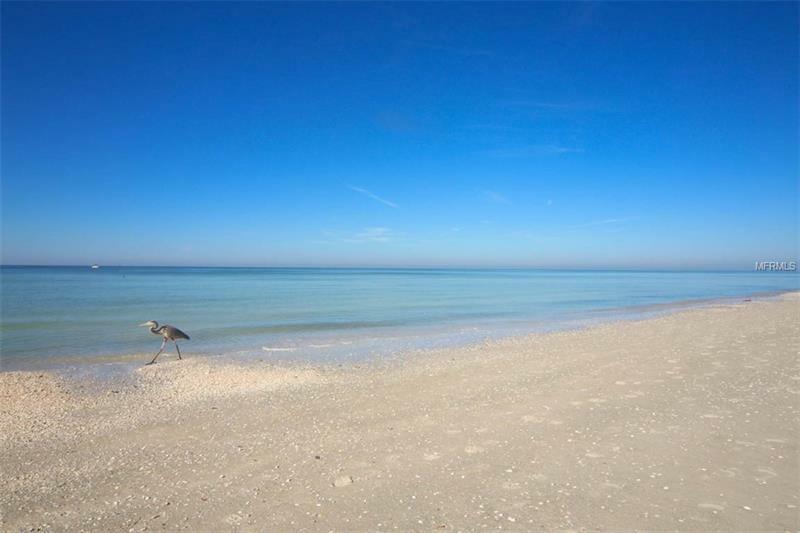 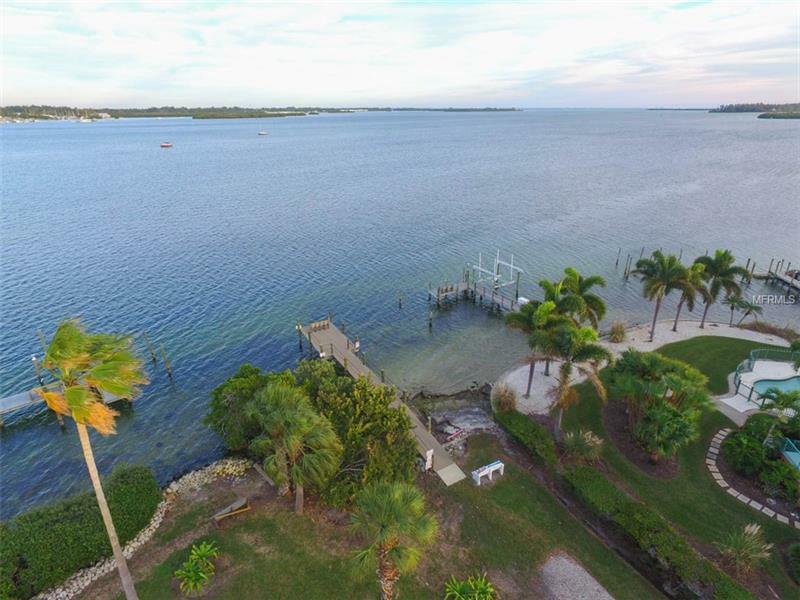 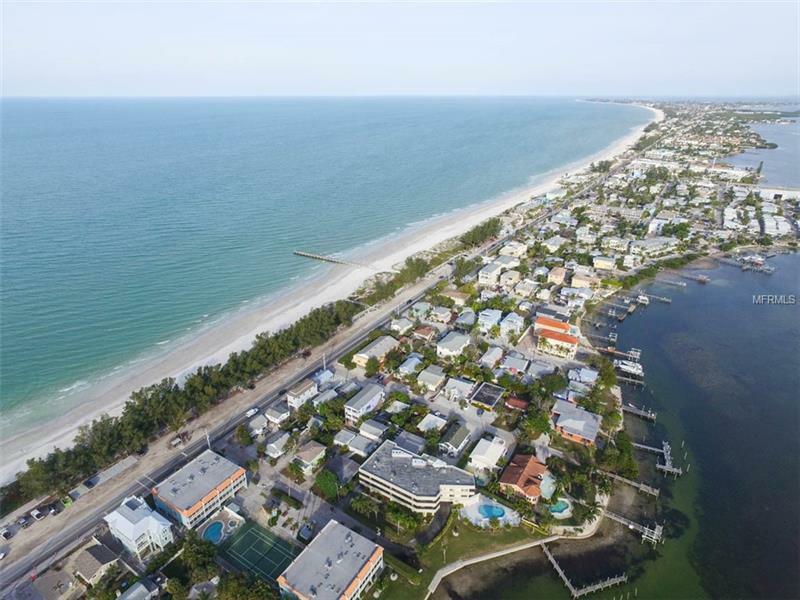 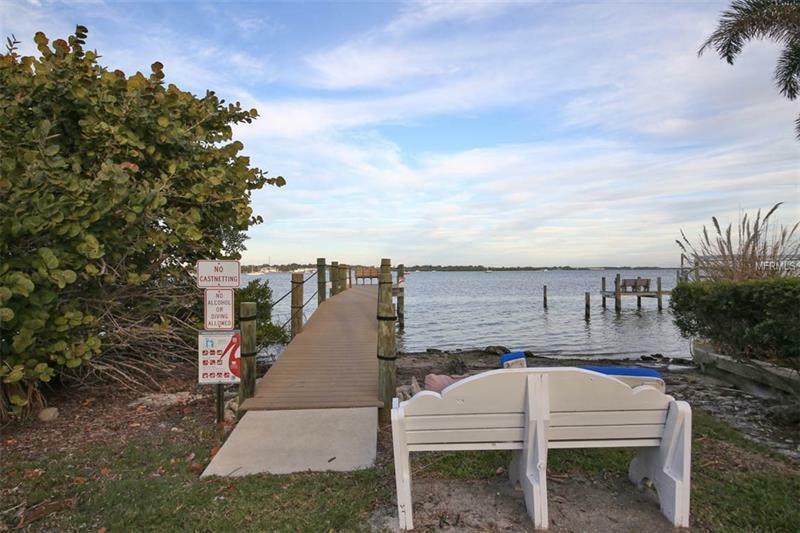 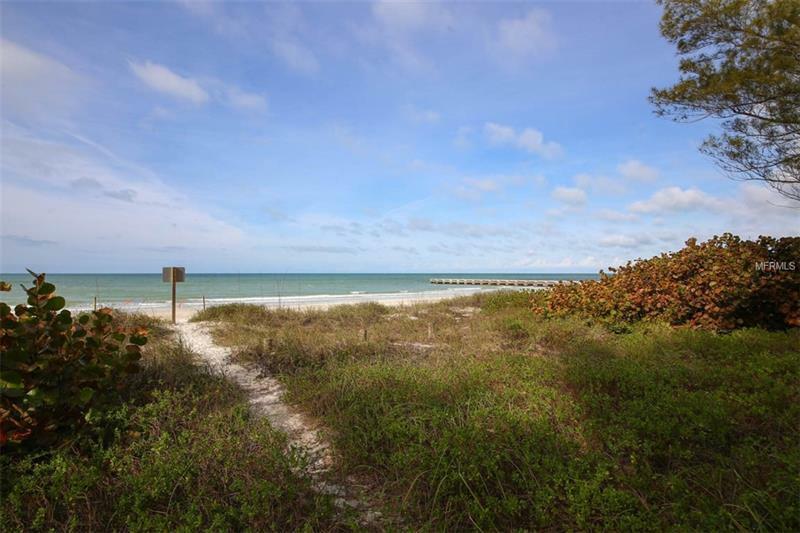 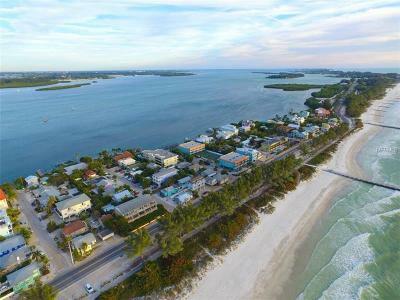 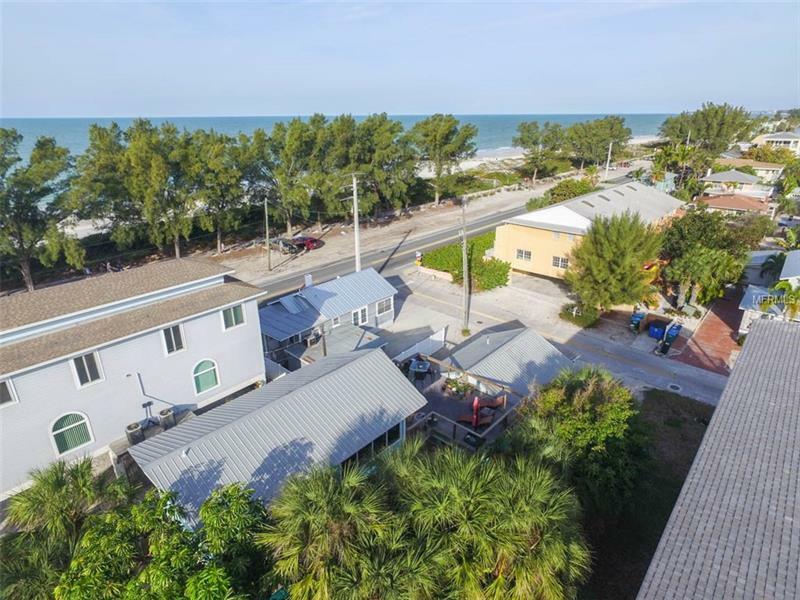 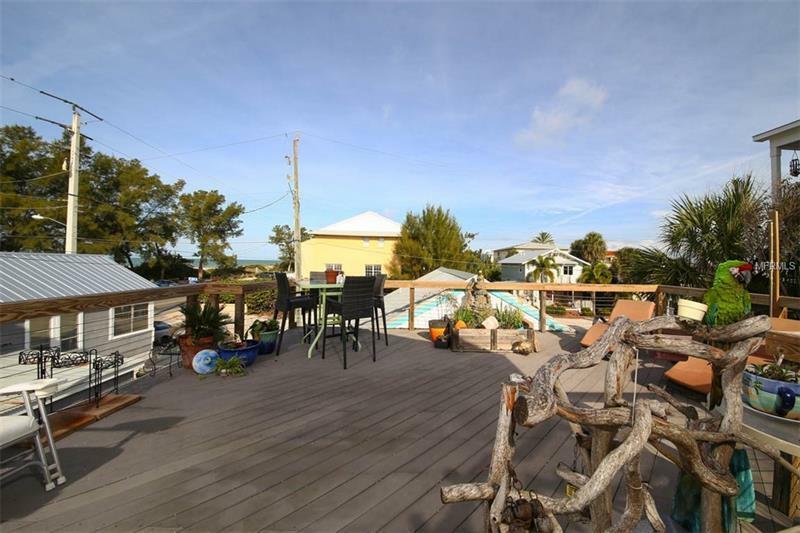 The Gulf of Mexico is across the street and the views are breath taking! 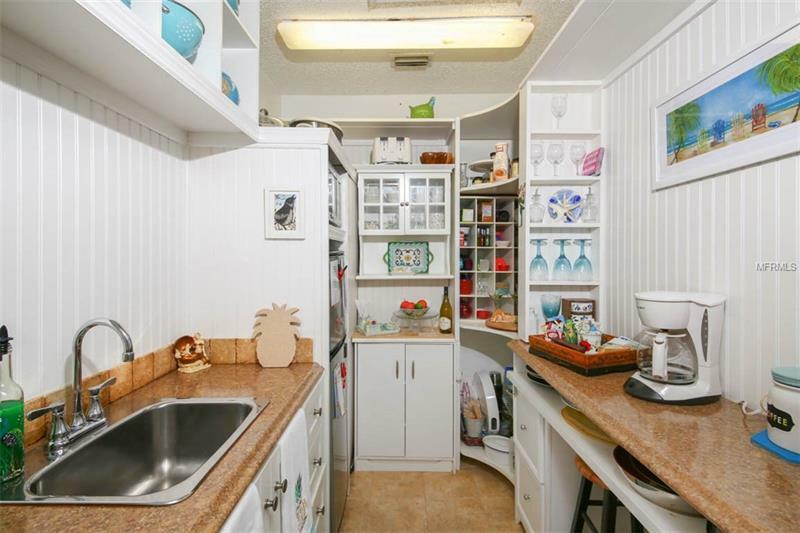 It also offers potential rental income with a fully furnished one bedroom apartment with kitchen and bath in the front that has itâs own separate entrance. 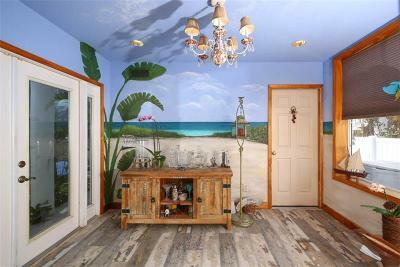 Through the main entrance to the house, you are greeted with a hand painted beach scene. 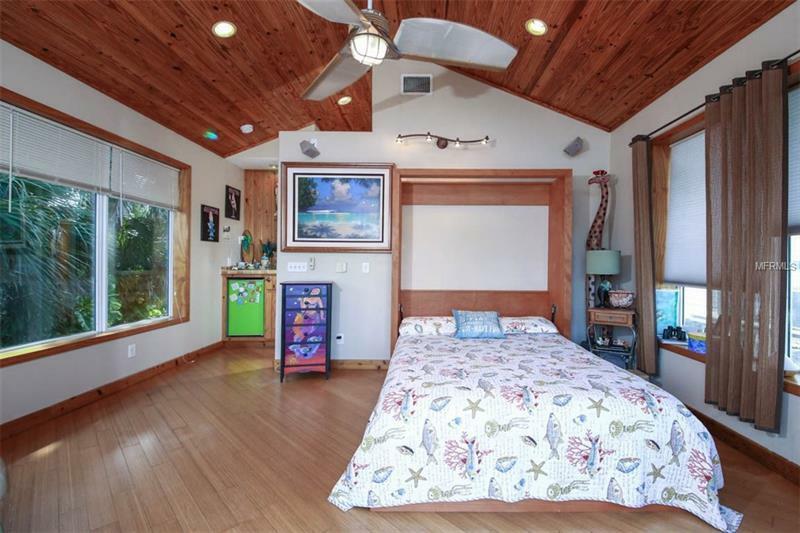 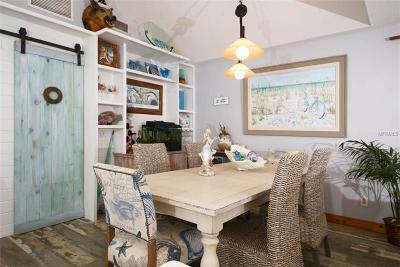 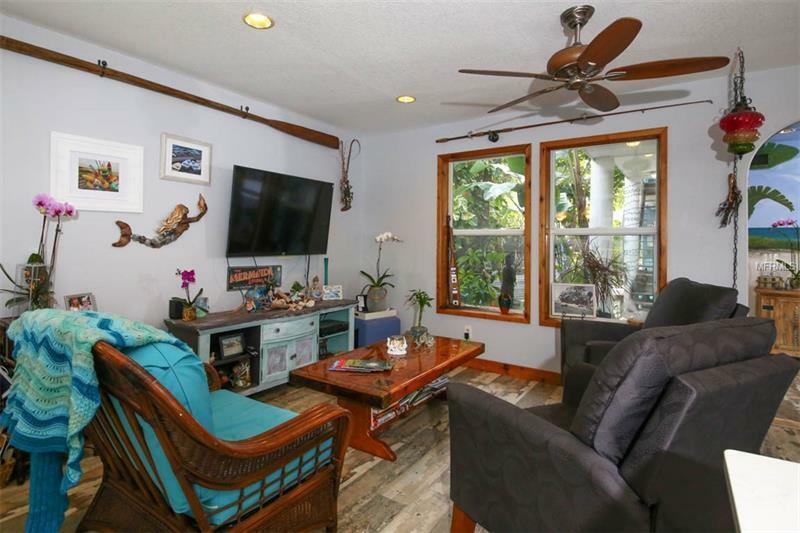 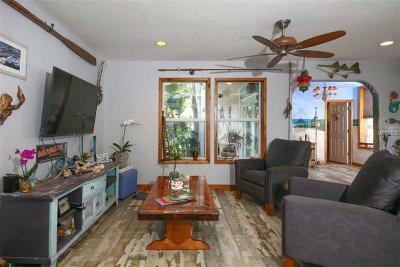 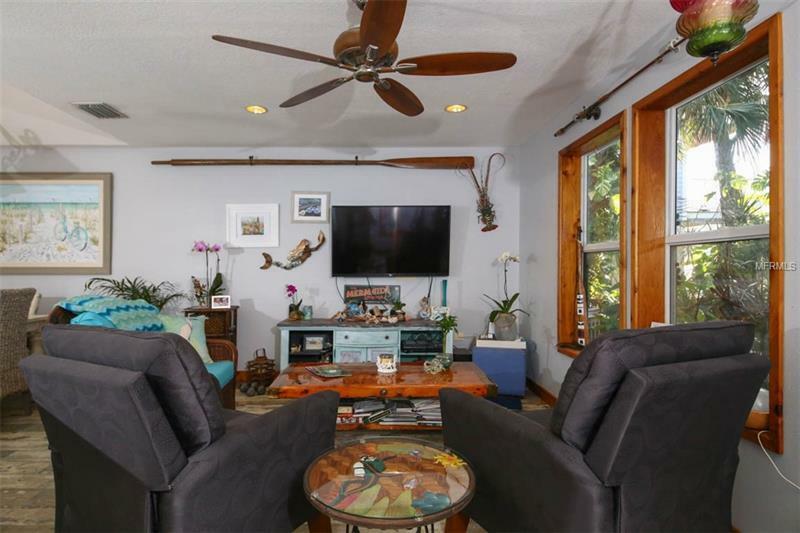 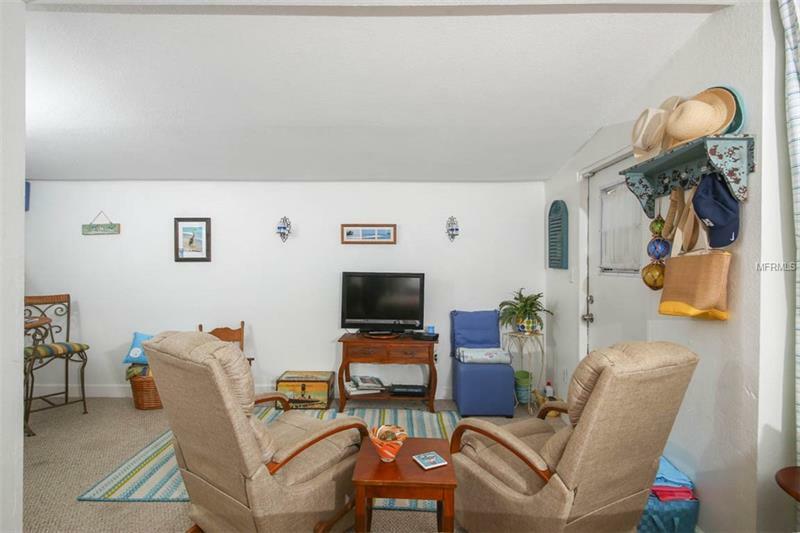 This room opens to a great room that is bright and beautifully renovated and includes the kitchen, dining and living room in one beautiful space that looks out over a private, tropical side yard. Even that is unique as it looks like a cool beach bar that youâd love to hang out at. 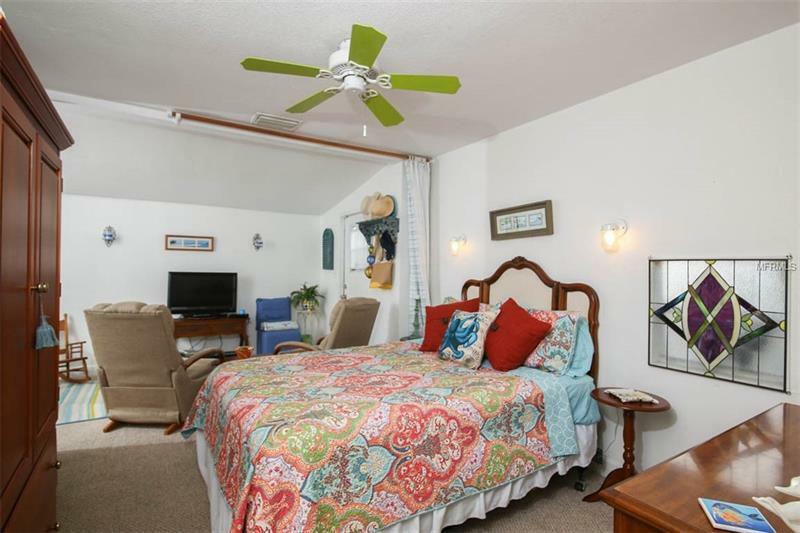 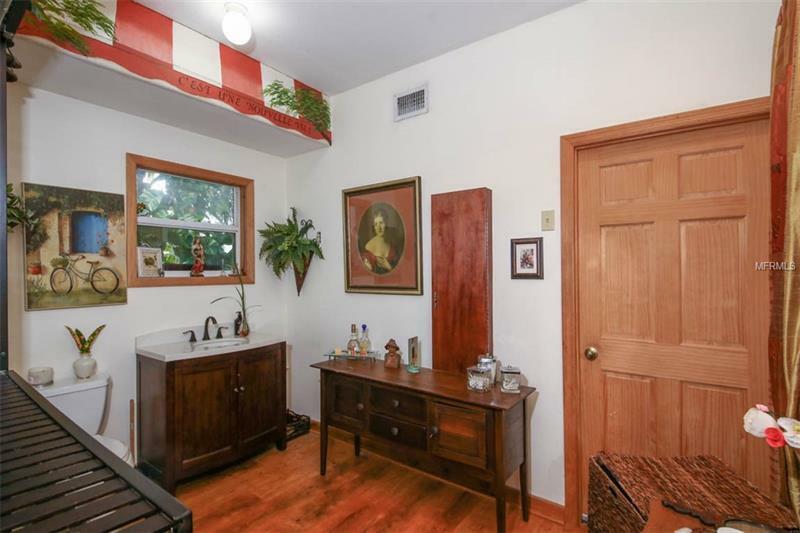 Like your own private oasis to retreat to, you reach the master bedroom by a covered stairway to the 2nd floor. 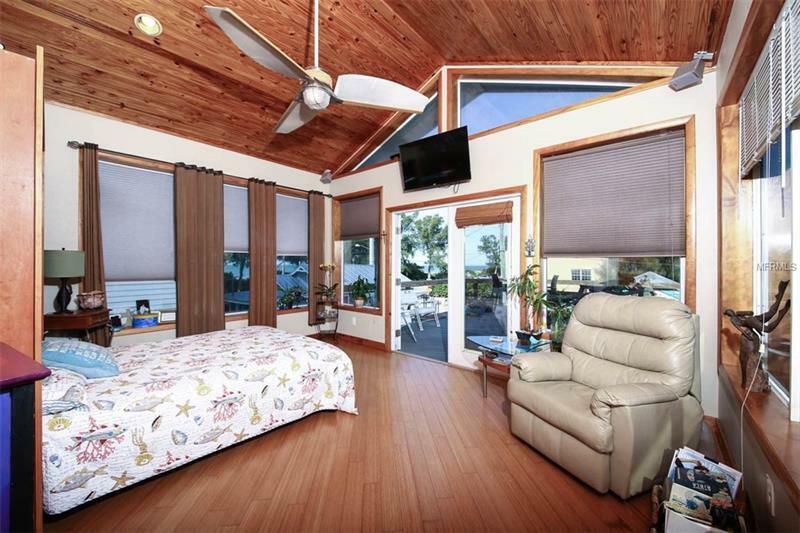 Here you will wake up to a stunning view of the beach from the many windows and thereâs a large private deck you will never want to leave! 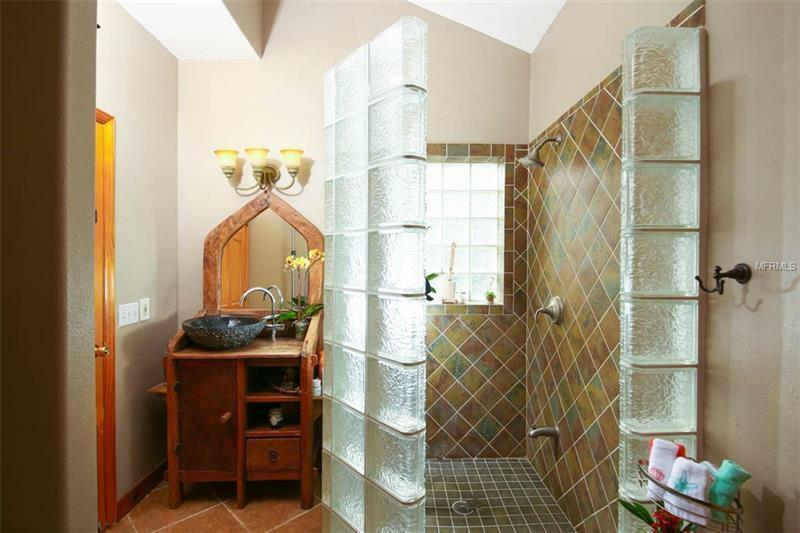 You have your own designer bathroom inside or a fabulous outdoor shower, like a true beach house is never without. 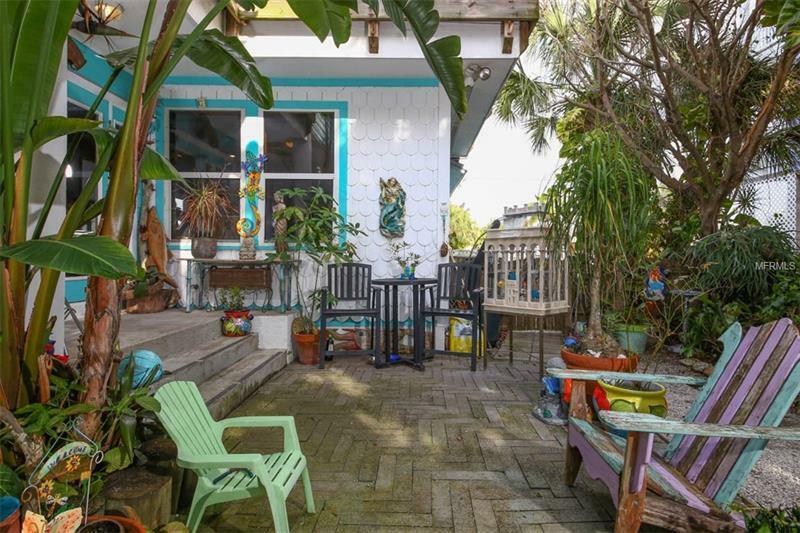 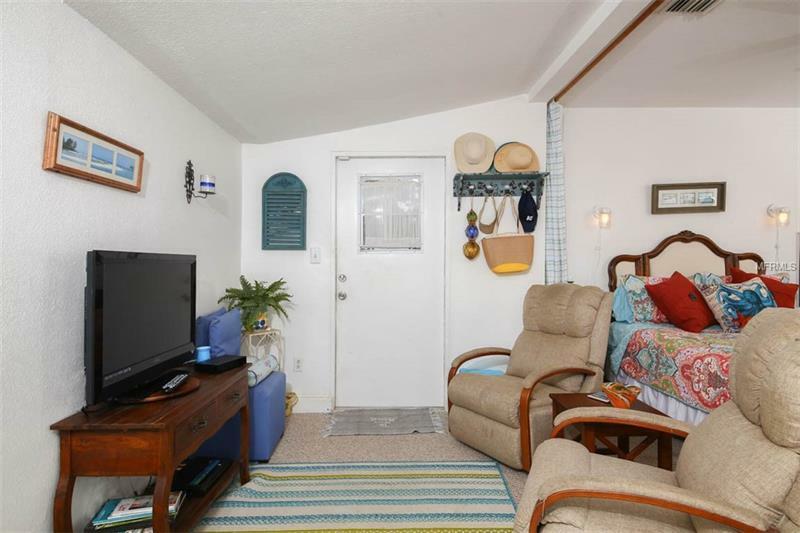 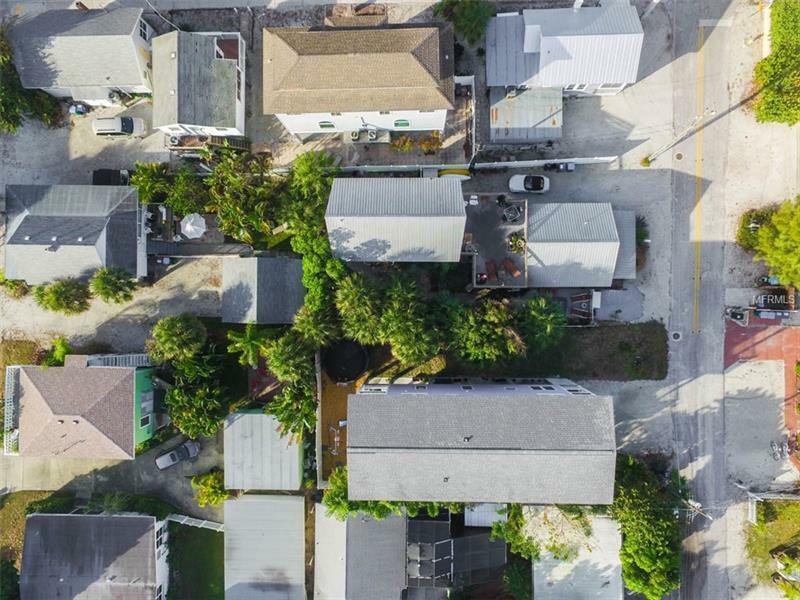 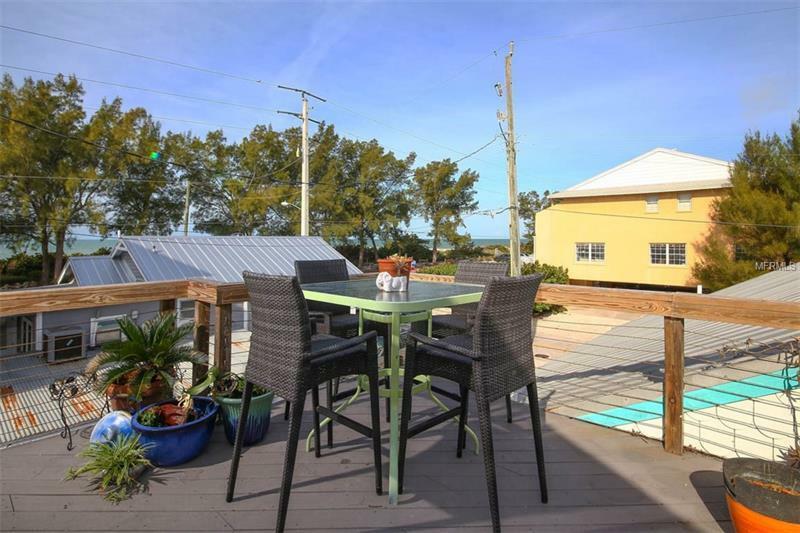 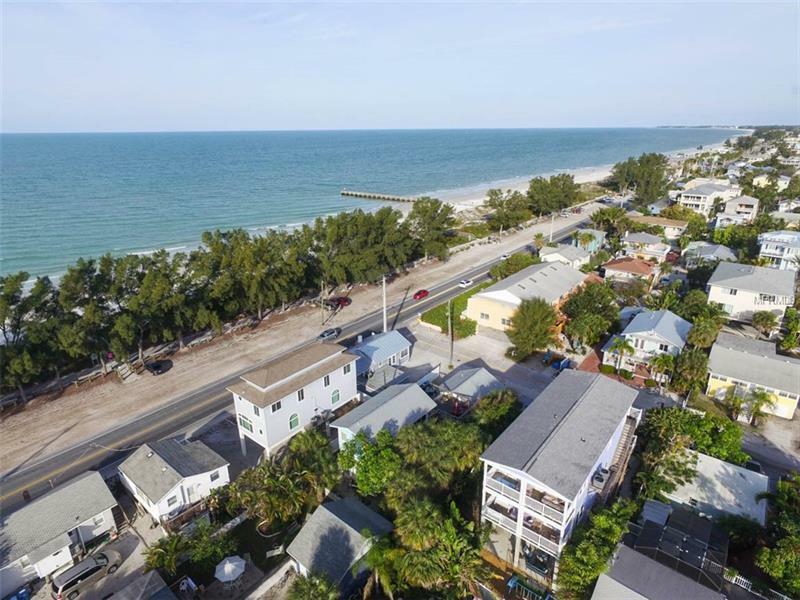 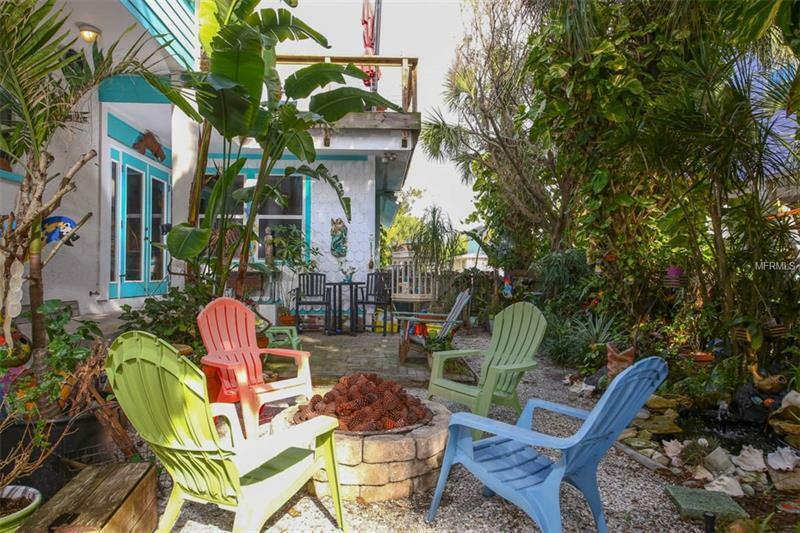 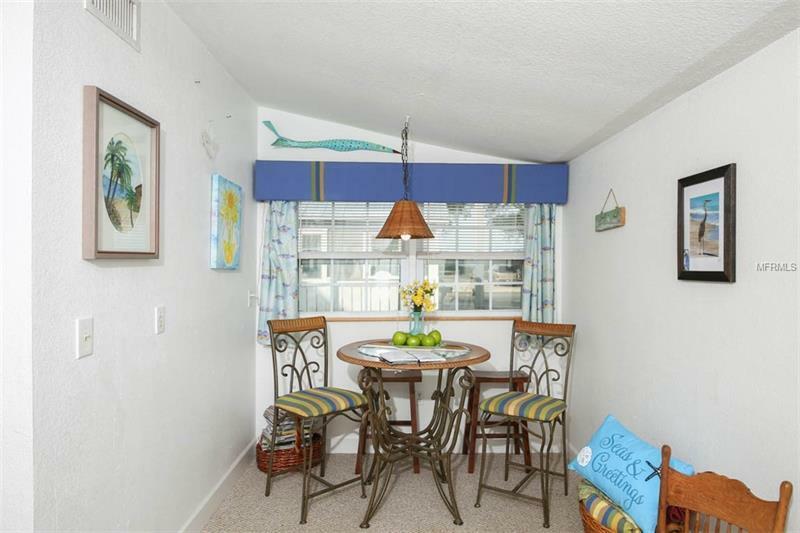 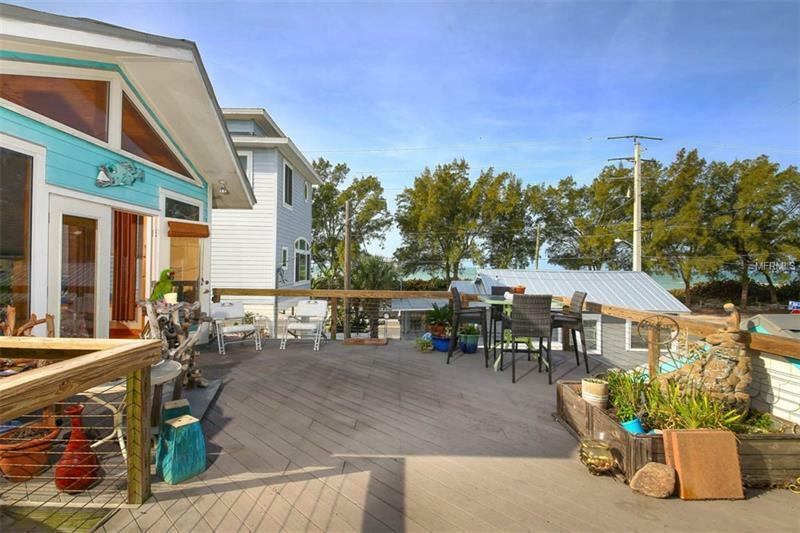 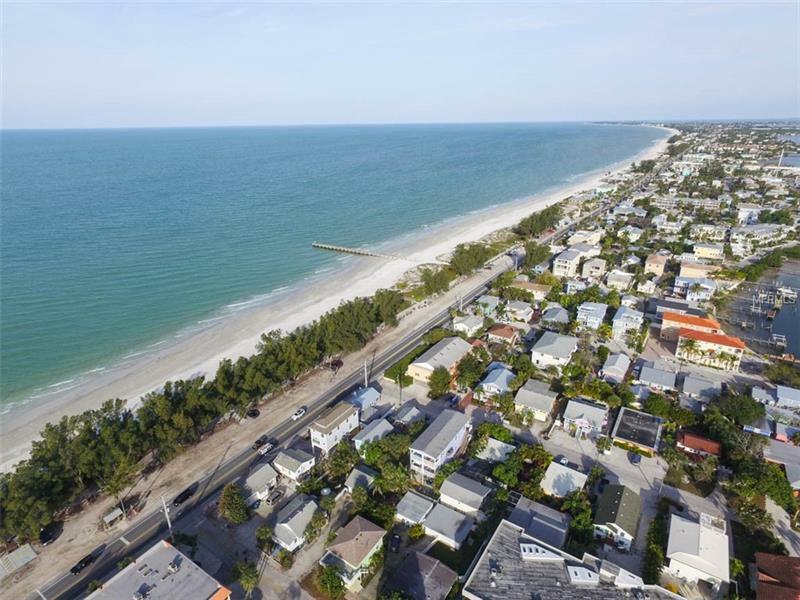 To add to the charm of the location, 8th street has a trolley stop at the corner, where you can hop right on and tour our beautiful barrier islands and all they have to offer. 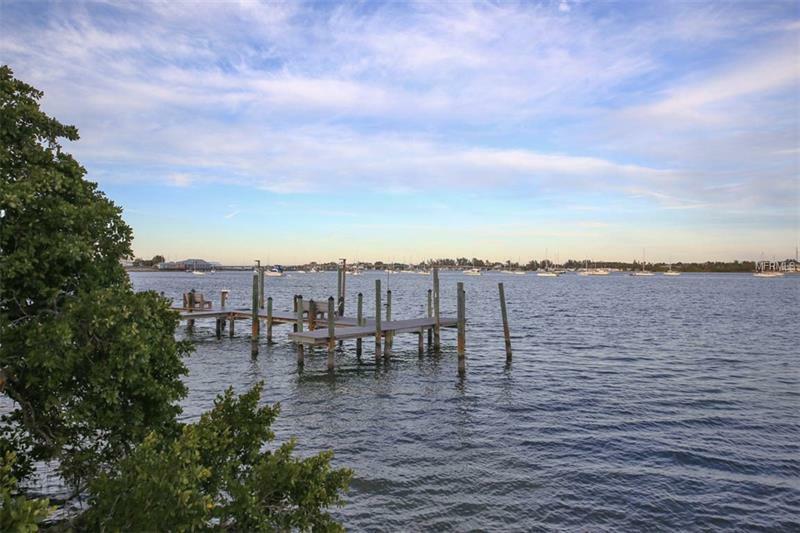 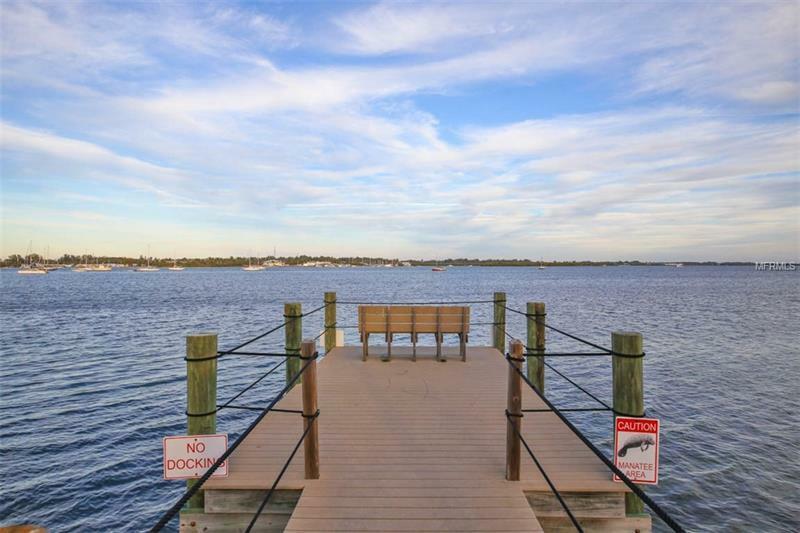 It also has itâs own community dock on the bay. Fabulous restaurants and shopping are just blocks away on Bridge Street, or a short car ride will take you to world famous St.Armands circle.